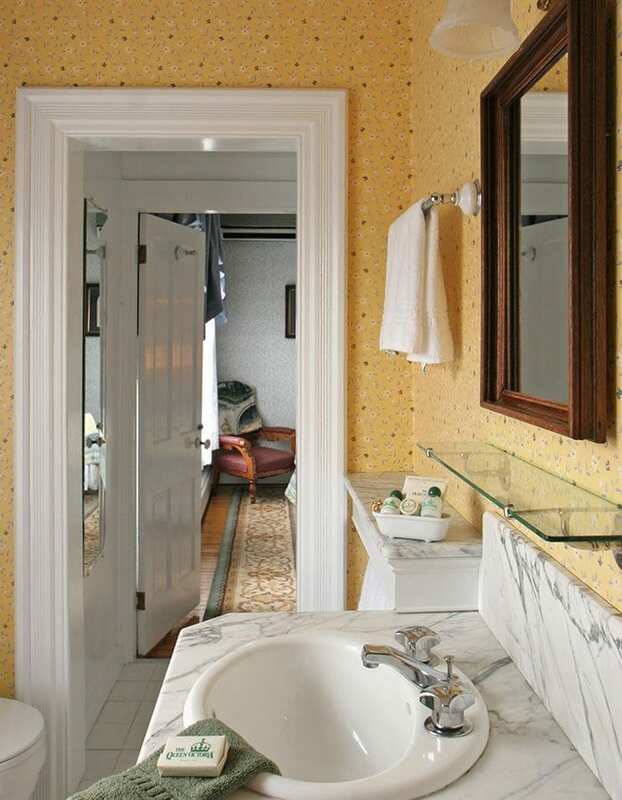 Named after one of Queen Victoria’s prime ministers, the Benjamin Disraeli is the brightest of our standard rooms with 3 windows on the sunny south side of the Queen Victoria building, two in the bedroom and one in the bathroom. 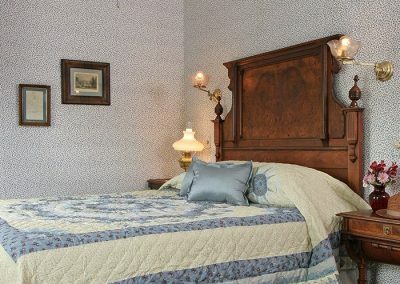 It is comfortably appointed with a plush queen size bed wrapped in our signature ironed premium sheets and covered in a handsome premium quilt. 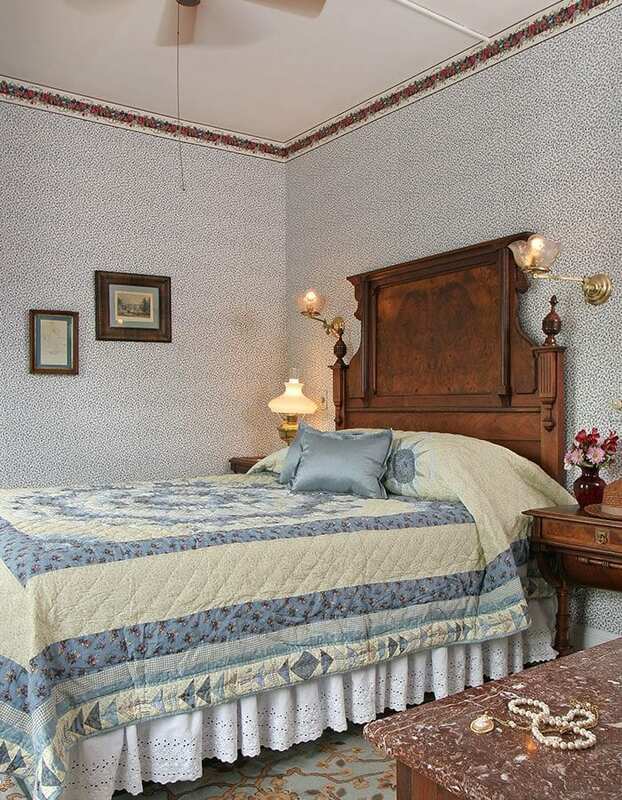 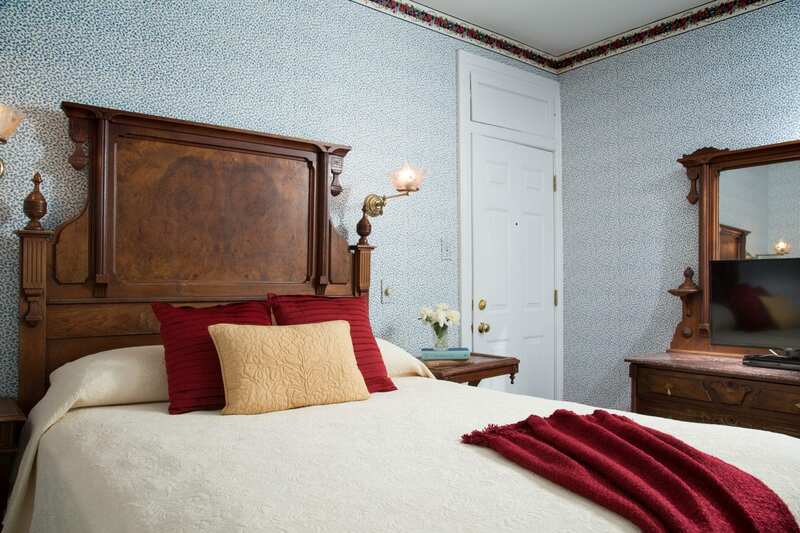 Its antique Victorian head-board and dresser are sure to take you back to that elegant time. 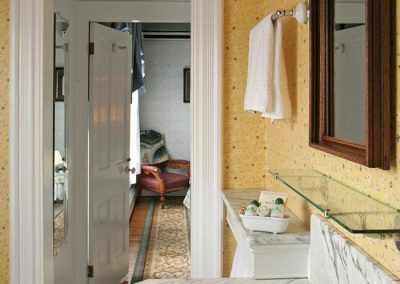 Benjamin Disraeli boasts a large private bathroom with a tub/shower equipped with a hydro-massage European massage shower head. 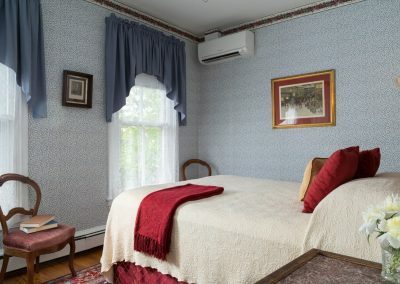 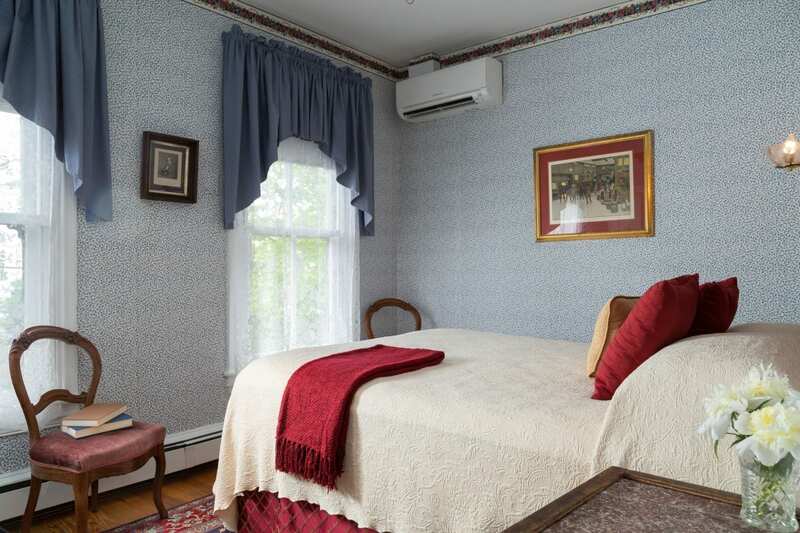 Individual climate control, a television with DVD, a refrigerator, a hair dryer, and an iron with ironing board ensure that you’ll have all the comforts of the modern world Cape May vacation, while enjoying the charms of a by-gone era.